Until the 3rd of February, the €75,000 Live Casino End of the Month Promotion at Maria Casino is giving you the opportunity to become King of the Live Casino or one of the 399 other winners with prizes going up to €15,000 for the number one Live Casino player! 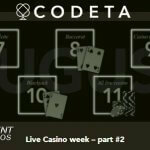 What if playing live casino games is one of your main activities and you got a chance to win up to €15,000 in cash just by doing what you love to do? Until the 3rd of February, you get the chance to make some extra money with these same live casino games at Maria Casino. 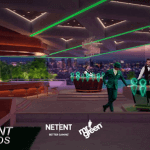 And obviously, NetEnt’s Live Casino games are among the games available for the €75,000 Live Casino End of the Month Promotion. 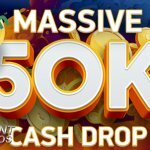 So don’t let this chance go by without at least taking a hit to become one of the 400 players that win a cash prize of between €10 and €15,000 just by playing your favourite live casino games. All you have to do is log into your account, opt-in via Maria Casino’s Tournaments section and start to play the live casino games with real money bets of at least €0.10. The more you play, the more chance you have to win at least €10 but maybe even more! Become a King or a Winner! With two different Live Casinos, Maria Casino is a great place for live casino fans! The place recommended going to first between today, Tuesday 22nd January, and Sunday 3rd February, is Casino Royale. 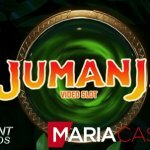 This is one of the two Live Casinos available at Maria Casino and it’s the one where you’ll find NetEnt’s respected Live Casino Games. However, this promotion is available for Casino Grande too which is offering the live casino games of another great supplier of live casino gaming. NetEnt fans obviously prefer Casino Royale, but whatever Live Casino you choose to play at, if you bet at least €0,10, you’ll already have a chance to become one of the winners, although I honestly think a few more bets will be needed.